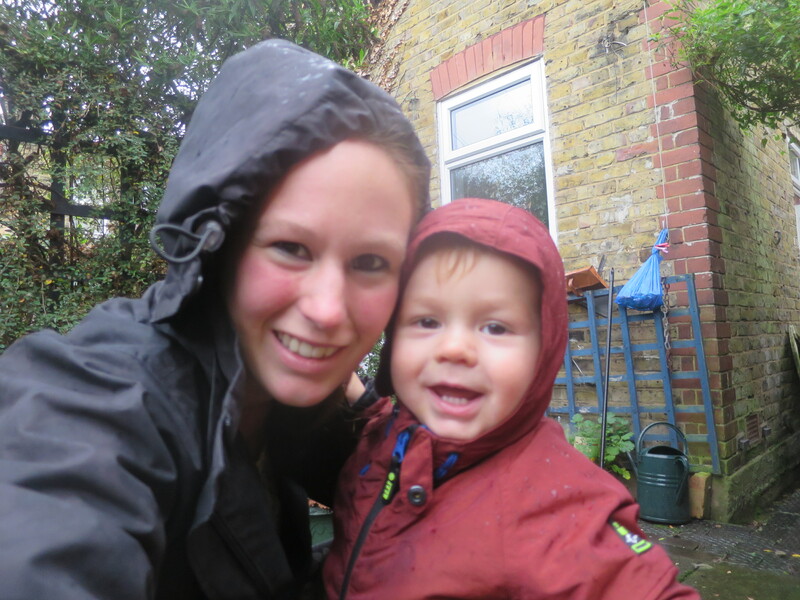 The rain may have cleared, but Sunday was still pretty grey. 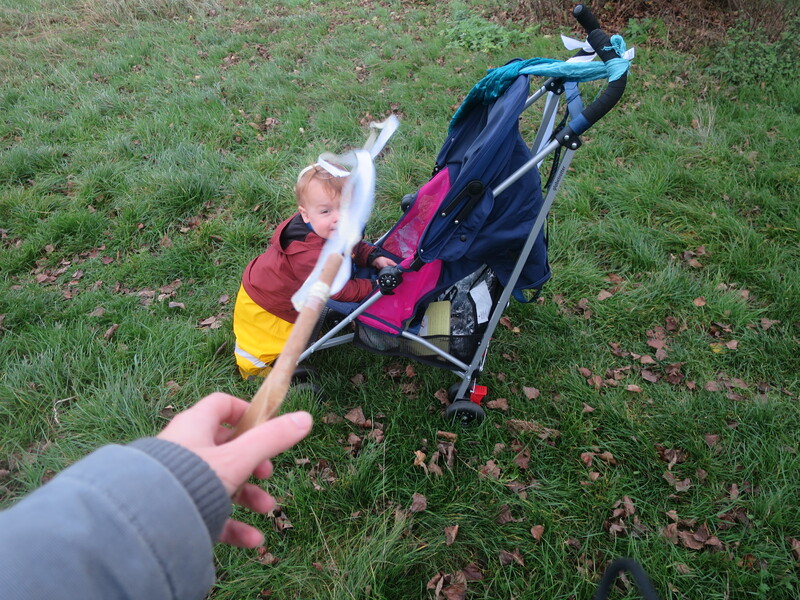 When we went to the park in the morning, the wind was blowing so strongly that it actually knocked Tom over a couple of times. Clearly there was nothing to do but to embrace the wind and turn it into our play theme for the day. Whilst Tom napped, I scoured the house for some suitable equipment. 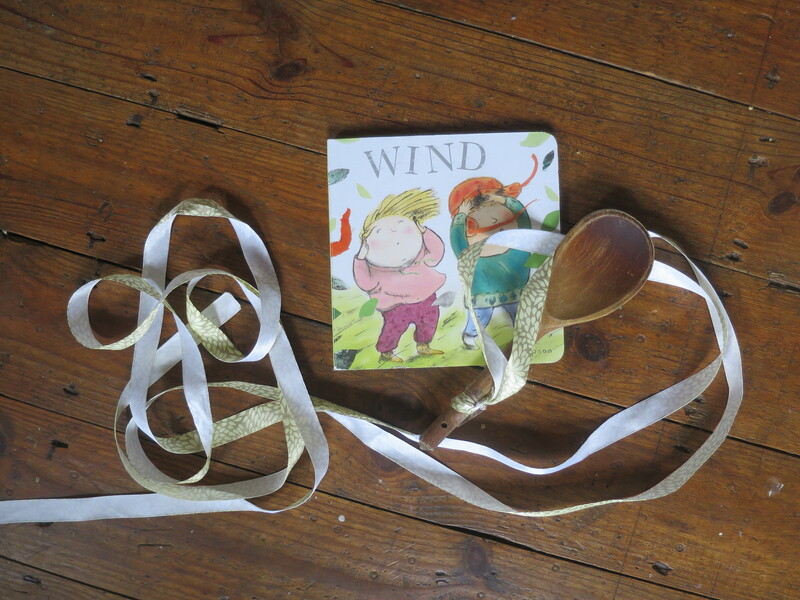 I gathered together some ribbons, a light silky scarf, some bubble mix we got given as a favour at a recent friend’s wedding, and Wind by Carol Thompson, a book we were given free at Tom’s one year review (I love it. Mr Techno…doesn’t). I attached one of the ribbons to a kitchen spoon with some sticky tape, with the idea that this might make it easier for Tom to hold. We quickly discovered two flaws with the plan: 1) Tom is still too little to be able to hold the ribbons high enough for the wind to blow them, and 2) Trying to take photos whilst simultaneously waving ribbons in the wind is damn near impossible. 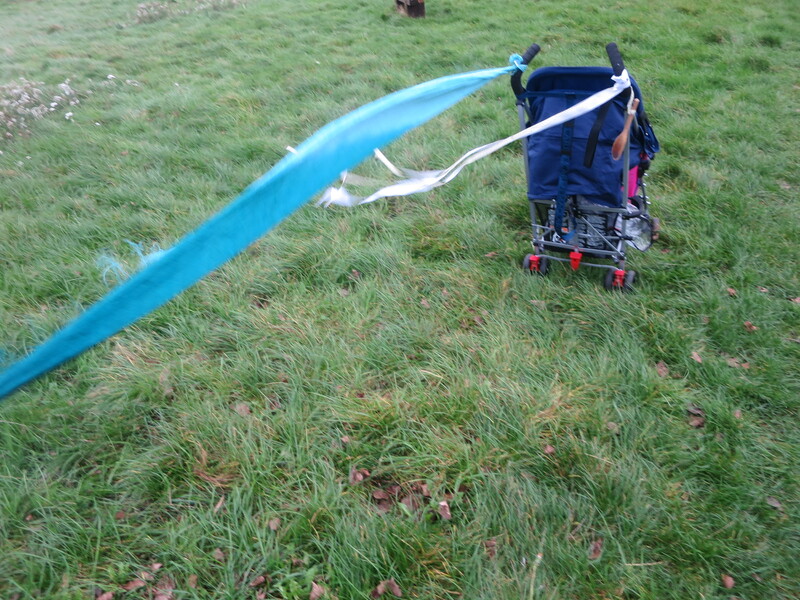 After a bit of tickling Tom with the ribbons, we gave up with them and attached them to the buggy instead, where they blew around merrily every time a gust caught them up. The scarf was more successful. Tom loves the parachute game that is sometimes played at toddler groups, so this was a good variation to do with just the two of us. He giggled happily as the scarf flew out in the wind and came down to settle over his head. The big success of the day was the bubbles. Tom loves them when we play at home, but the wind sent bubbles speeding off in all directions, making him whoop with excitement. Sadly he hasn’t quite worked out how to blow them himself yet, but it is only a matter of time. 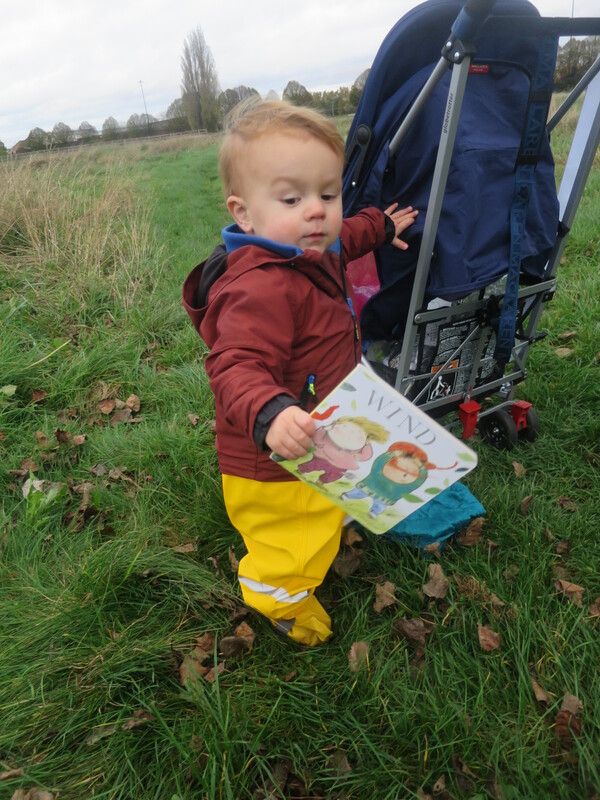 Tom then found the book in the bottom of the buggy, so we settled down in the grass for a read, the wind providing fitting accompaniment to the sound effects in the book. 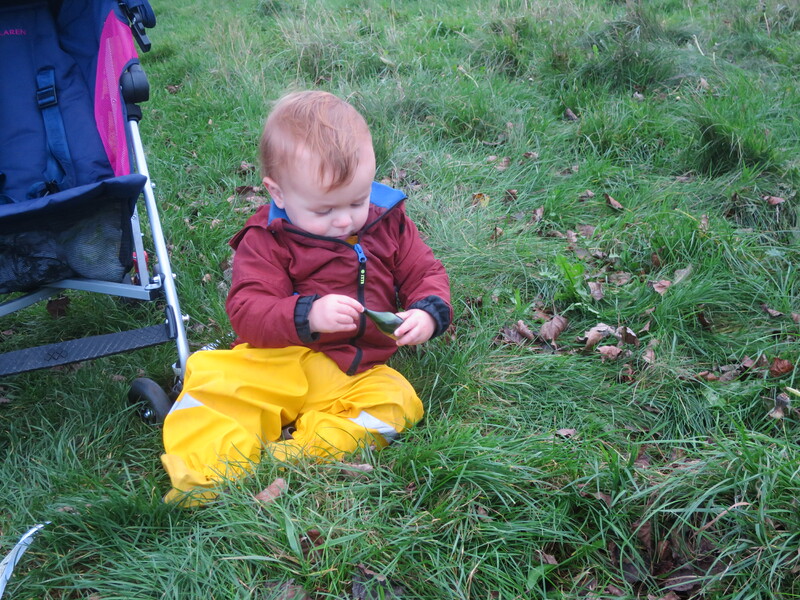 We tossed handfuls of leaves into the air as we read, illustrating the ‘rustling’ and ‘snatching’. Mixed success with the materials, but I can see us repeating this again on windy days. The ribbons may have to wait until he’s a bit older though! 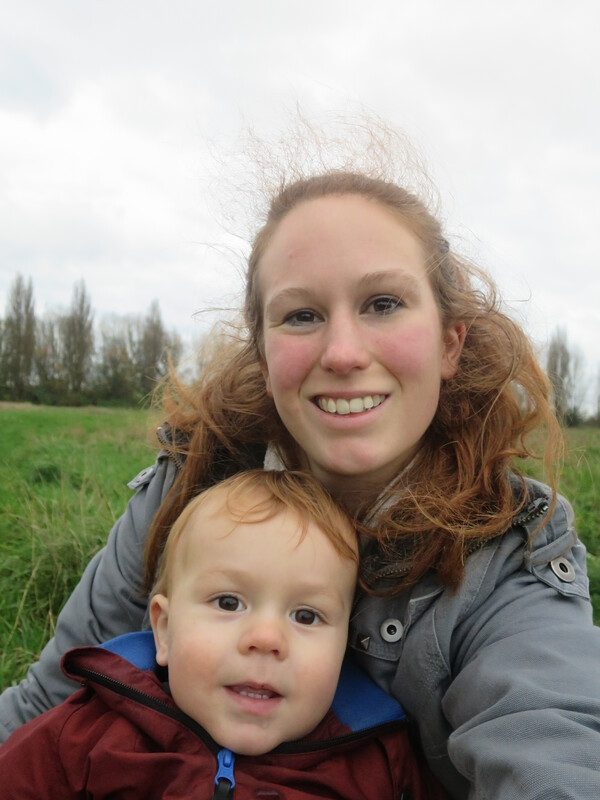 Do you have any top tips for windy day activities for our next adventure? 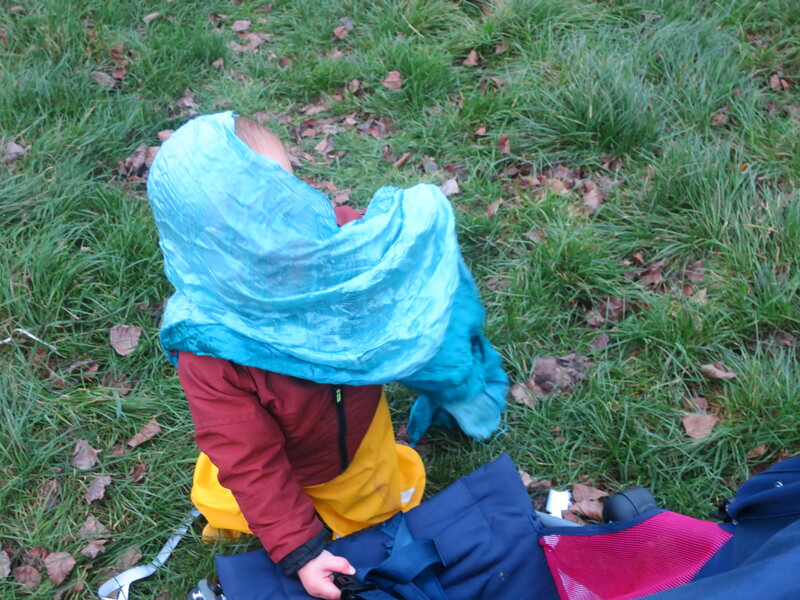 Posted on November 17, 2015 December 18, 2015 by LucyPosted in Outdoors, Play IdeasTagged books, East London, play, toddler, Wild Time, wind, windy day play. What a wonderful way to make the most of nature’s offering. I’ll have to keep that in mind for our next windy trip. He seems to grow as I watch, so I’m sure the ribbons will work in no time! I saw the wind catcher, which has now gone on our to-do list for the next storm that rolls through! Simple ideas are always the best 🙂 I’ll have to try this with my toddler, as our park is exceptionally windy! I am always a fan of things that cost nothing too! This is a great windy day activity, I love it! 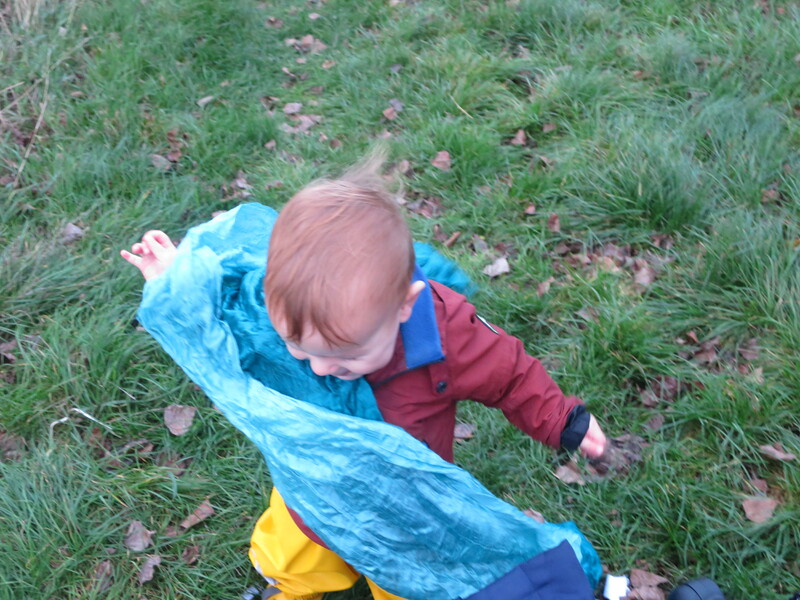 We have a kite, but it’s hard for a 4 year old to handle properly in strong winds. I will need to make some ribbons and do the same I think, we have some silk scarves which A could probably use. It looks like he’s having lots of fun there! Kites are great. We will definitely get him one when he is bigger. Right now it would probably fly away with him!